Today Dell is updating their Precision Mobile Workstation lineup with two new model, the 15.6” M4700 and the 17.3” M6700. Dell is keen to point out several “firsts” for the new models, including the first PCIe 3.0 enabled GPU in a mobile workstation, the first to offer DDR3-1866 memory, and the first to offer built-in NVIDIA 3D Vision Pro. We’ll get to the specifics in a moment, but these are Dell’s highest-end offerings for notebook users, with prices, build quality, and specs to match; if you’re not using professional applications (e.g. 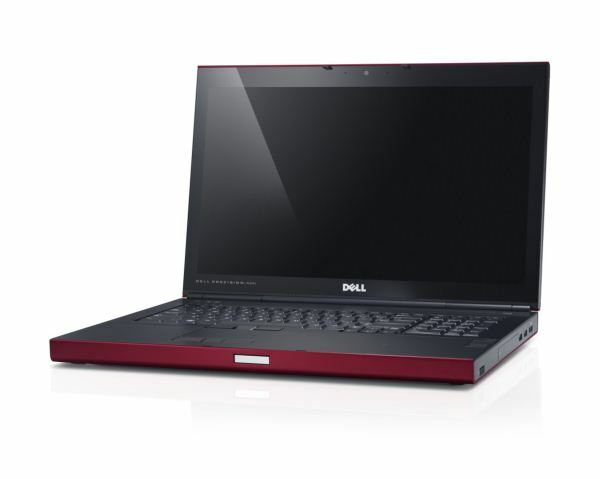 Dell has ISV certifications from companies like Autodesk, Adobe, Matrox, Sony, Siemens PLM Software, Dynamic Graphics, and many others), there’s a good chance you may not need this sort of notebook. Still interested? Here’s what Dell has on tap. The smaller M4700 has options for everything we like to see from mobile workstations. You can get a basic model for $1649, but naturally once you start adding more memory, SSD storage, and an IPS display you can expect the price to jump substantially. The online configuration utilities aren’t live yet, but they should go up some time today. Most of the rest of the specs are straightforward so I won’t spend much time rehashing them. There are a few items worth mentioning, however. First, I’d like to see Dell skip the 1366x768 display option entirely—does anyone buying a mobile workstation really want such a display? The ability to upgrade to a 1080p IPS display on the other hand is definitely appreciated; a 1920x1200 display would be even better, but sadly no one outside of Apple seems willing to push for 16:10 displays any longer. The PremierColor LCD also features RGBLED backlighting, providing 100% of the AdobeRGB color gamut. The other area worth discussing is battery life options. Those who want better battery life have several options: larger main batteries, the battery slice, and NVIDIA Optimus graphics. I’m not sure how (if?) Optimus works with workstations running Linux, and it’s also not clear if you can order the M4700 with an NVIDIA GPU without Optimus. It would seem like that should be doable, considering the AMD FirePro M4000 appears to be discrete-only, but I asked for clarification on this and have not yet received an answer. Incidentally, speaking of GPUs, AMD’s FirePro M4000 supports PCIe 3.0, which makes Dell the first notebook vendor to ship such a GPU. However, the other GPU options (from NVIDIA) are all PCIe 2.0 solutions. How much that will matter for GPGPU type tasks on mobile GPUs isn’t clear, but our understanding is the current mobile GPUs typically are not constrained by PCIe bandwidth. (Note that the fastest mobile GPUs are still less than half the computational power of desktop GPUs). Also worth noting is that NVIDIA leads in workstation GPU sales. The configuration options on the larger M6700 are largely the same as the M4700, with one major exception being the graphics cards. The M6700 supports higher performance GPUs that should help with improving performance in demanding tasks. The K2000M in the M4700 is basically a fully equipped Kepler K107 with workstation drivers; the K3000M/K4000M/K5000M move up to variations of the Kepler K104, with 576/960/1344 cores, respectively. All of the K104-based GPUs also support 256-bit GDDR5 memory interfaces, whereas the K1000M/K2000M have to get by with 128-bit DDR3. What will be interesting is to see how K5000M compares to the Fermi-based 5010M in FP64 applications, as the earlier Kepler GPUs appear to have sacrificed some of the compute potential in order to improve other areas. The other areas where the M6700 differs from the M4700 is in the display and battery options. The base display is a 1600x900 panel, with three different 1080p upgrades available. The same anti-glare 1080p and RGBLED IPS 1080p options are here again (albeit with larger panels), but Dell also adds a third 1080p display, this time with NVIDIA 3D Vision Pro support. 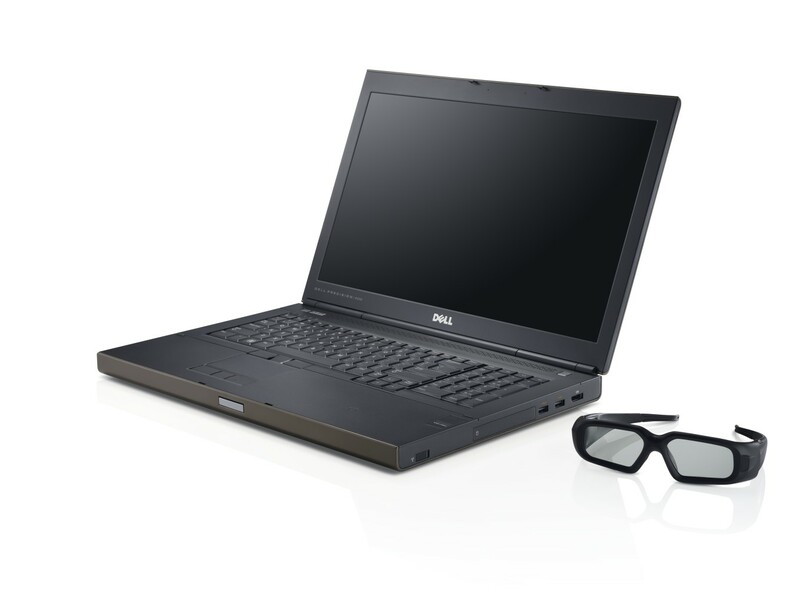 Dell states that many Professional 3D applications (e.g. CAD/CAM/CAE, DCC, seismic visualization, and life sciences) now support stereoscopic displays, and for customers that want such features, the M6700 is available. There’s a third workstation being announced, though it’s largely the same as the M6700. The M6700 Covet uses the same chassis but comes with a higher base spec and a Phoenix Red exterior finish. It also has edge to edge Corning Gorilla Glass 2, with a starting price of $3579. It’s not clear what components are used for the base model of the Covet, but expect at least a quad-core CPU, 1080p display, and probably an SSD as a reasonable starting point, given the pricing. Project Bumblebee is pretty much the main thing out there for Optimus on Linux though it still definitely falls short of the same Optimus features we enjoy. Hope the Linux Kernel Devs and Nvidia can work out their differences and get something working. This "workstation" branding is retarded. GPUs are named in a way that you can't know and relate their actual performance without extra research. The whole thing costs way more than if it used "normal" components, while not offering any real-world benefit, at all. Whoops, you're utterly wrong. Quadro and FirePro cards offer MASSIVE performance benefits, real world, in specific professional applications. They don't have better silicon, but BIOS lockouts and special drivers are what I assume create this effect. Agreed. I was looking at new business laptops but the screen was the most important thing for me. Much more important than performance. And nothing since i5/i7 came out has a 1200p screen anymore. The last 1200p 15" laptops were Core 2 Duo.